It seems odd to be writing a wrap-up post of 2014, as it certainly doesn’t feel like it’s December, let alone the end of the year. Nick and I are sitting here in sunny little San Pancho on the west coast of Mexico, and we couldn’t feel further away from the typical Christmas traditions of Canada. Sure, Mexicans are very religious and they love Christmas time, but without the snow, the bustling malls or the holiday carols, it just feels like another day in paradise…with the occasional poinsettia plant and santa statue on display. 2014 was a great year for us, and although we didn’t travel to as many countries as we did in our past years, we still did some epic things and made some lasting memories. For two weeks, we were still in Canada celebrating the holidays with friends and family. But come mid-January, we were off to Mexico! 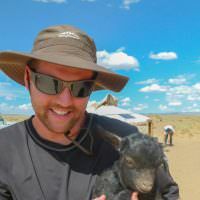 This was our first time strapping on our backpacks and heading south from Canada – apart from a couple of all-inclusive holidays when we were younger, all of Latin America was still left uncoloured on our travel map. We started off in Cancun where we met up with an old travel buddy of ours, Bernie. Together we explored and enjoyed our time together for about a week before parting ways. We were off to travel around. 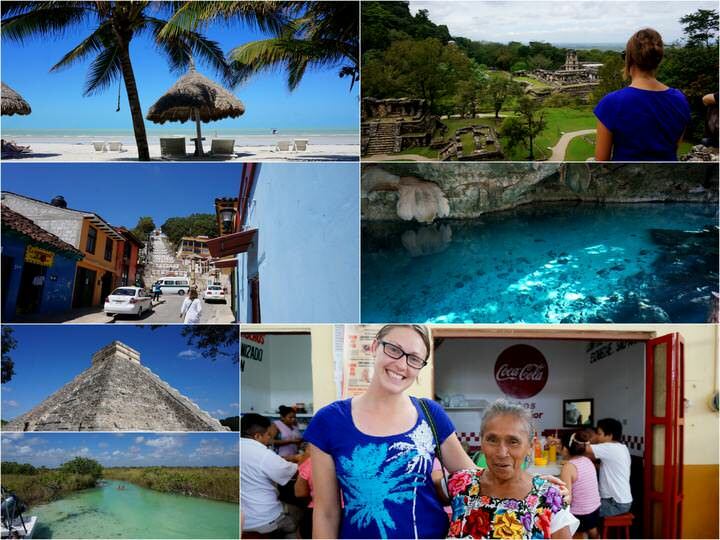 We visited Holbox Island, Valladolid, Rio Lagartos, Playa del Carmen, Tulum, Merida, Dzibilchaltun, Progresso, Izamal, Palenque, San Cristobal and finally, Chetumal. After visiting numerous old colonial towns, exploring ancient ruins, sipping on fabulous local coffee, meeting incredible people and eating way too many delicious dishes to count, it was time to leave Mexico. We boarded a boat that would take us from Chetumal to Belize! The second half of March was spent lazing on pristine beaches on the northern islands in Belize. 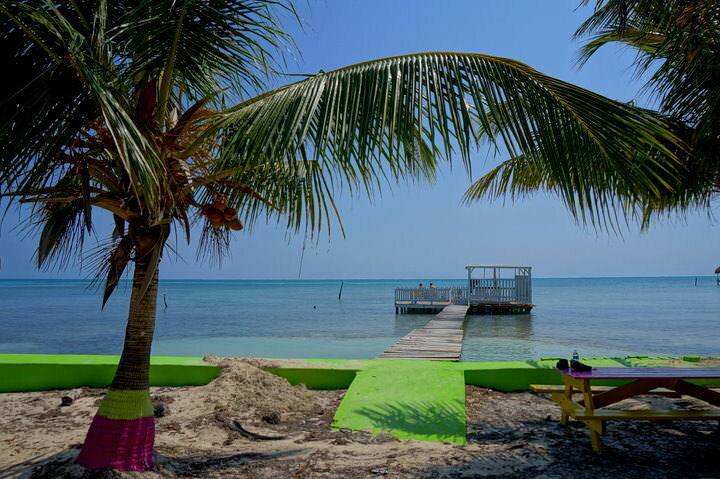 We spent our time on Caye Caulker and Ambergris Caye and loved them. 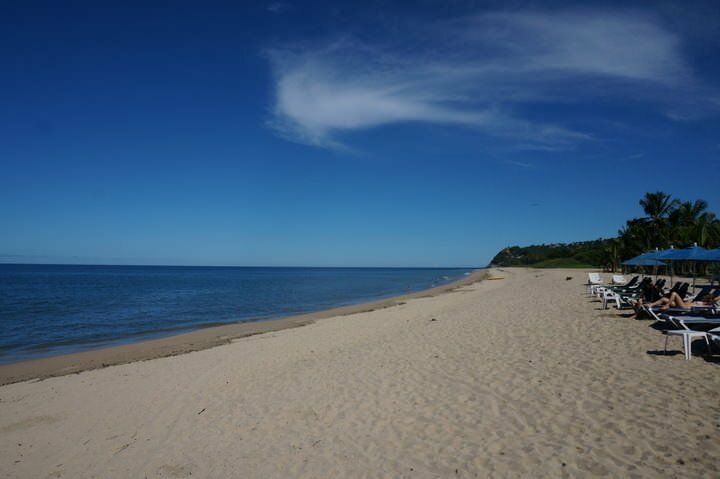 We were invited to stay at Victoria House, which was a lovely, quaint resort on a quiet beach. Although we loved that luxury, we really loved chilling out on Caye Caulker more so than Ambergris Caye! We stayed in a couple of cute little bungalows, went on a boat trip to see manatees, saw some incredible sunsets and enjoyed the local restaurants. Grenada was everything we hoped it would be and more. We accepted our first pet-sitting job here and found ourselves in a tropical paradise taking care of the sweetest dog ever. We stayed in a little cottage right by the ocean and enjoyed the peace & quiet of the property we were living on. Days were spent exploring the island’s numerous beaches, waterfalls and hikes. We then had 7 weeks when the owners were home and our services were no longer required. 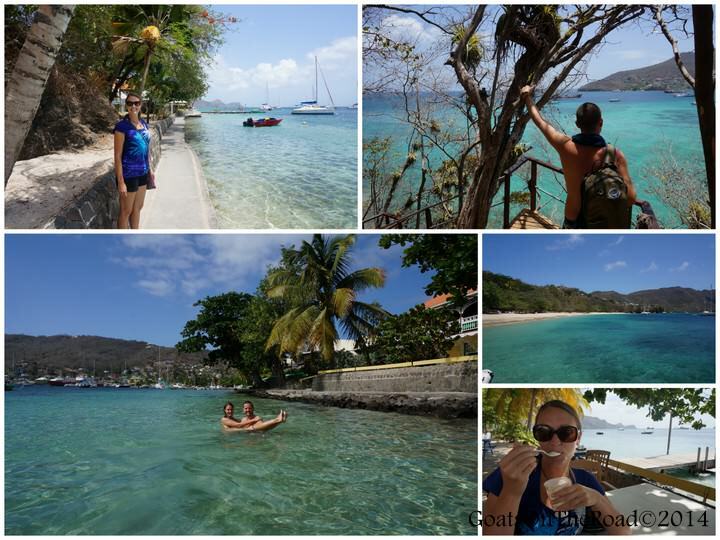 We still stayed in Grenada for part of the time, but for almost 3 weeks, we headed off on an island hopping journey! The Osprey Ferry was our mode of transportation to take us from Grenada to the next island north, Carriacou. We were greeted by a gorgeous beach, interesting streets and friendly people. After 2 nights there, we were off on a cargo boat to our next island, Union (which is part of the island nation of St. Vincent & The Grenadines). This rugged, unpretentious island was fabulous. We explored various beaches and lookout points and met some really cool local people. Our stay at King’s Landing Hotel was awesome and we loved the staff members there. But, one of the most interesting things we did during our stay was to visit an island bar located just 100m off shore, made out of conch shells! Needless to say, the rum punch was flowing and it was a very Happy Island indeed. 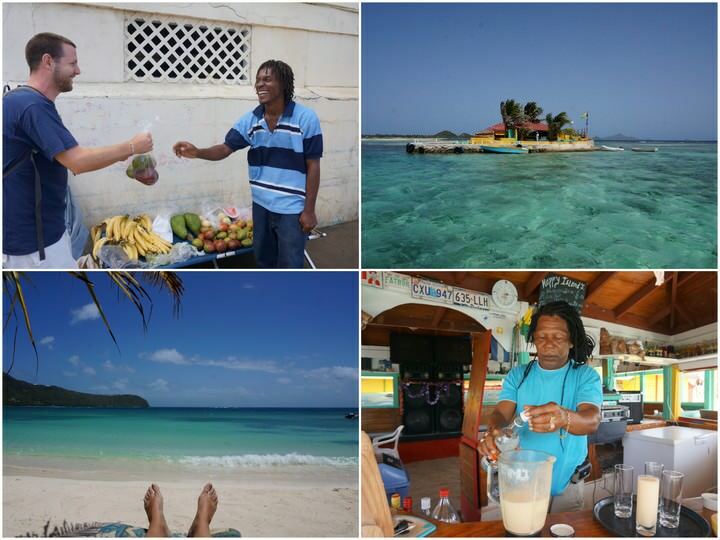 From Union, we made our way further north to Palm Island for a day trip, Mayreau and the incredible Tobago Cays! 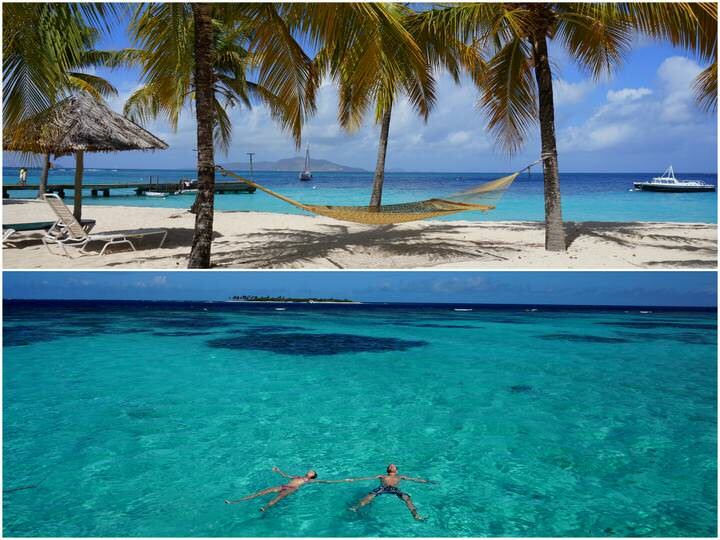 Our day of sailing to all three of these islands was unforgettable. Weve never seen water so clear and sand so white! We sailed aboard the Yannis Catamaran and enjoyed a full day of eating, drinking, swimming, snorkelling and relaxing. It was a true highlight of all our travel adventures. Our final destination on our 3 week island hopping trip was Bequia, the second biggest in the Grenadines chain. This was where we celebrated my 30th birthday in style! We wandered the beautiful seaside walkway at Admiralty Bay, ventured over to Princess Margaret Bay and strolled around Port Elizabeth. My actual 30th was spent at the beach with dinner at the lovely boutique Sugar Reef Hotel. The chef prepared a delicious meal for me and the staff all sang their version of Happy Birthday! After 3 weeks, it was time to return to the Island of Spice. We really enjoyed our second half of the pet-sitting job, even more so than the first half. We felt like we knew the island better, got involved in hashing, met some awesome friends and found some really great live music venues…plus, we loved the rainy season! Everything was so lush and green, much more picturesque than the dry season. My dad and his wife also came to visit us for a couple of weeks and we had such a jam-packed visit. We went sailing and snorkelling, watched crab racing, drove around the island, went hiking and swimming and ate lots of good food. There are so many things to see and do in Grenada and even after living there for almost 7 months, we still didn’t see it all. This island will always have a special place in our hearts and we’d love to return one day. Back in Mexico! Our journey from Grenada to Puerto Vallarta, Mexico was long and freezing cold. The airports and the airplanes were some of the coldest we have ever experienced – either that or we were just so used to having no air-conditioning in Grenada that it felt colder than it actually was. 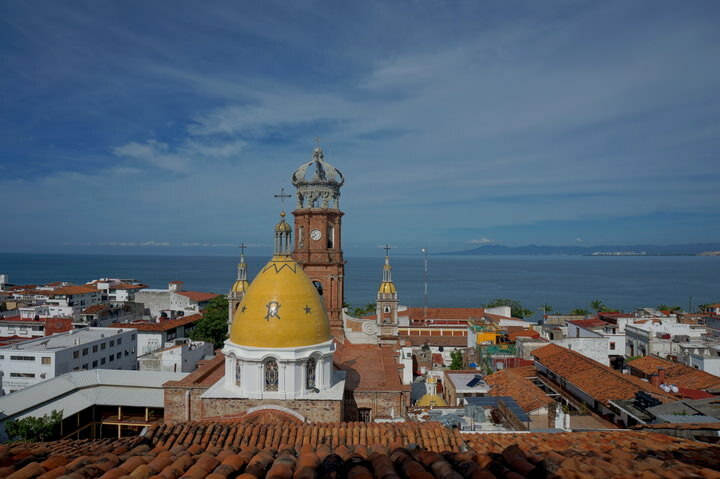 We explored Puerto Vallarta for a couple of days and actually really enjoyed the downtown and old town areas. From there, we made our way to the little town of San Pancho, where we currently are. This surf town is where we will be staying until the beginning of January, and it’s the base for our family members to come and visit us this year. Nick’s mom came and celebrated his 30th birthday with us for a week, then my mom arrived and got her own place for 1.5 months, Nick’s step-dad arrived this week, and after that, we’ll be meeting up with Nick’s dad and his brother/brother’s family. Phew! 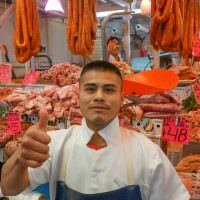 Even though San Pancho wasn’t exactly what we were envisioning it to be, we’re still having some great times here. This year started and ended in Mexico, and our journey here will continue into the new year as well. We have “plans” to venture to the southern reaches of this country before crossing into Guatemala. But who knows what we’ll actually get up to. Everything is up in the air and after such a great 2014, I’m sure 2015 will be just as amazing! What did you get up to in 2014?! Share with us below. I love the shot of you floating in the Tobago Cayes! Everywhere looks Wonderful. Quite an Adventure packed 2014! Staying in one place a while and thoroughly exploring the culture and people seems to agree with you! Beautiful place for pet-sitting, with The perfect pet! What a Fabulous place San Pancho is for endings and beginnings! Looking forward to your 2015 Explorations and Discoveries! You’ve come full circle – almost :-). It must have been great living in Grenada for 7 months – and getting to feel like you know some of its secret charms as a resident, not just as a breeze-in/breeze-out tourist. 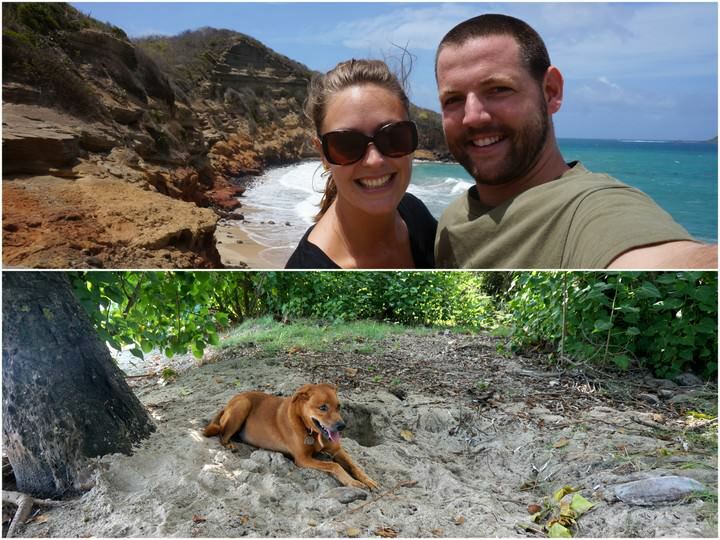 Being able to house/pet sit and live like a local in Grenada was truly the highlight of the year for us. Such an amazing place with such fantastic friends made. You guys really lived it up in the Western Tropics during 2014. We did the SE Asia and South Pacific bit, and will be heading back to Bali in February for another house sit. Excited! Thanks guys for sharing and Happy Holidays! Thanks for commenting. You’ve had an awesome year as well. 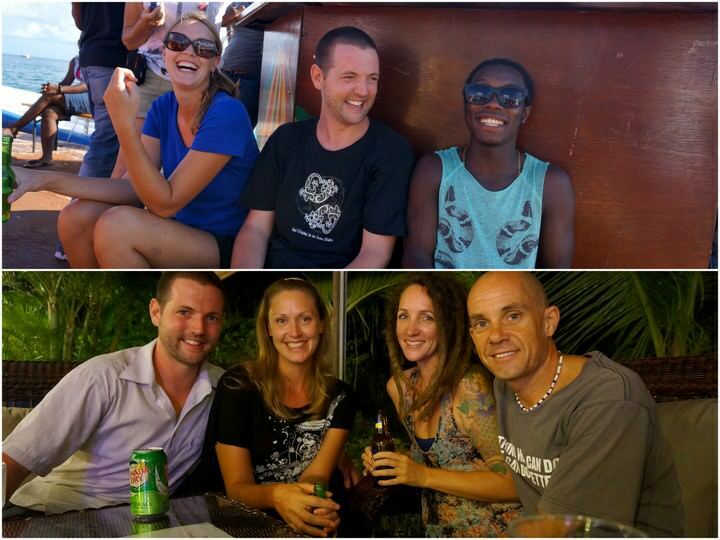 So excited to see what you have to say about the house sit in Bali in February! Which city/town will you be in? Thank you for the kind words about our blog 🙂 We really appreciate hearing from our readers.